Hello Stampers! Today, I am playing along in the Freshly Made Sketches challenge! I decided to use the Seaside Shore stamp set for this card. I wanted to make a shaker card when I saw this sketch. 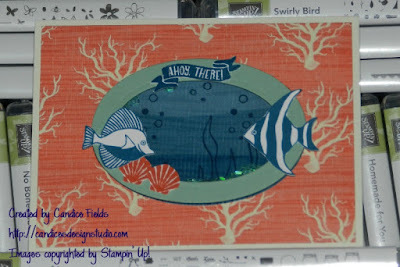 All products used are from Stampin' Up!, with the exception of the sequins.